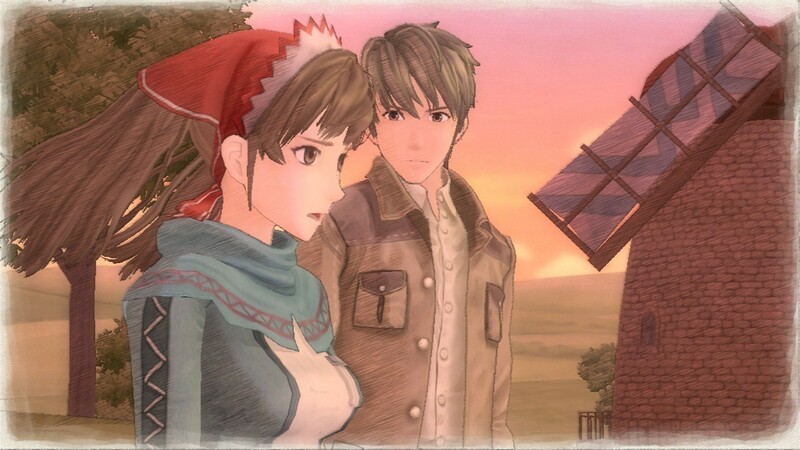 At a time when JRPGs were largely beginning to fall away from mainstream gaming into niche status, Valkyria Chronicles proved that role-playing development in the East could still yield compelling results. Critically acclaimed and garnering a large fan following, SEGA’s blend of traditional tactics and real-time action became one of the great reasons to own a PlayStation 3 in 2008. Now, eight years later, the next version of Sony’s console has revived the old classic — and while Valkyria Chronicles Remastered doesn’t have the same impact its initial version did, it remains a challenging and wholly original piece of work. Narratives are one of the main obstacles JRPGs face when trying to appeal to Western audiences. While I’m perfectly fine with the “group of rainbow-haired teens with special powers saving the world” trope, and I know I’m in good company, there are plenty of players out there who cringe at the very thought of such a story. 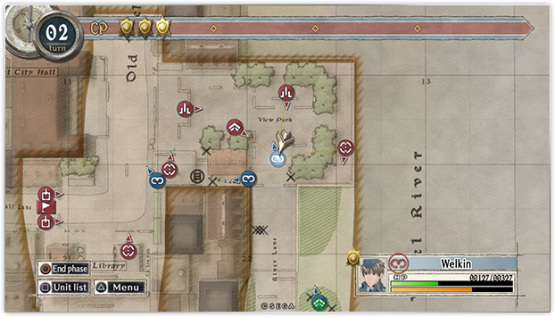 That made me think: perhaps what endeared so many people to the tale Valkyria Chronicles tells is its maturity. Though the heroes in question are (mostly) still young, the focus on war — and the consequences that come with it — forces them to face darker and more troubling themes than you’d expect. I also enjoyed the relationship that develops between protagonists Alicia and Welkin; both characters are given plenty of time and room to grow, and their romance is a genuinely sweet one. Sure, there are some familiar tropes in the story, such as the “Darcsen” race that finds itself on the receiving end of prejudice, but they’re all handled with a level of care and detail that makes them enjoyable. 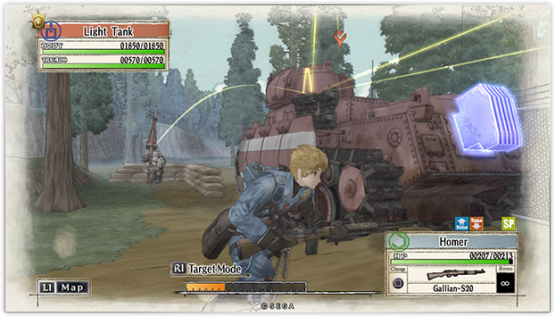 Of course, the main draw of Valkyria Chronicles is its unique twist on tactical RPG combat: a blend of traditional turn-based strategy and real-time warfare that’s pretty much unlike anything else out there. In any given battle, you’ll first choose which character to control using a top-down map, then watch as the camera zooms in to give you a third-person perspective on your chosen soldier. From there, you can move them around as long as you haven’t exhausted the meter along the bottom of the screen. If you find yourself in the range of an enemy, you can use nearby cover — such as the ever-present sandbags — to duck out of the way, then go into targeting mode to use one of your weapons against them. For every unit you select and move, you’ll use up a certain number of overall Command Points, the conservation of which can really turn the tides of battle. As I said, there’s nothing out there that really plays like this game, and engaging in its tough battle system can be incredibly gratifying once you get the hang of it. There’s nothing quite like finding the quickest way to beat a mission; oftentimes, if you utilize the right strategy, you can force your foes to submit before they even get a chance to take their turn. I only wish there had been some tune-ups to the experience this time around: since fighting involves recruiting and then using multiple unit types, it would have been nice if the game eased you in a little better. By the time you’ve got the chance to start building your team for your first real mission, you’ve been hit with a frankly overwhelming amount of information — and that first big battle can be extremely daunting without guidance. I’ve praised games before for not holding the player’s hand, but Valkyria Chronicles shoves you into the icy pool without letting you get your feet wet. It really could have used more tutorials. That being said, if you’re patient and you stick with it, you’ll find rich rewards in the difficult battles before you. With great map design and a huge slate of varied (and often hilariously weird) soldiers to recruit, there are multiple strategies you can use to take down any given level. And once you’ve completed your first playthrough, you can return to attempt an A Rank on every single mission — a stiff challenge, but one worth undertaking. I do wish there’d been a little more of an attempt to “remaster” the proceedings this time around, though: outside of including all the DLC and making some graphical improvements (which we’ll talk about in greater detail later), nothing’s really different from the PS3 original. That’s not a terrible thing, since the base game is a great one, but the lack of additional content or polish is a shame. Just as one example, I’d like to have seen the overall real-time combat experience get tightened up a bit: the fact that the characters can only take cover behind certain objects is sort of an unnecessary limitation, and the aiming and collision detection just feel a little dated by comparison to more modern games. Valkyria Chronicles sure is pretty though. I absolutely adore the visual design’s watercolor-toned, “sketchy” style — but I would caution you against expecting any sort of truly “remastered” overhaul. This version of the game looks basically the same as the last one, for better and worse, including some weird clipping issues and such being left unresolved. On the other hand, I can’t give enough praise to Hitoshi Sakamoto’s score. Having previously composed the fantastic soundtracks of games like Final Fantasy Tactics and Final Fantasy XII, his signature sound should be unmistakable here for fans of JRPGs. There isn’t a bad track in the bunch. Deep challenges and rich rewards await if you decide to take on Valkyria Chronicles Remastered. If you’re playing it for the first time, this is as good a version as any to get a taste of the excellent blend of turn-based strategy and real-time action that made the game such a hit on PS3; if you’re a returning fan, on the other hand, you might be slightly disappointed to learn that this “remastering” doesn’t look much different from the original version (or offer any new content, for that matter). In any case, there’s no denying that it’s a true original that mostly stands the test of time — and if it does well, perhaps Sega will consider bringing new PS4 exclusive Valkyria: Azure Revolution over here. We can dream, can’t we? Valkyria Chronicles review code provided by publisher. For more information on scoring please see our Review Policy here.